The Nevil Shute Norway Foundation web site is dedicated to the writing, wisdom and philosophy of Nevil Shute Norway. It is a tribute to his skill that more than 55 years after his death, Nevil Shute's works are still enjoyed by so many people around the world. The Nevil Shute Norway Foundation web site is for, by, and of Nevil Shute readers everywhere. It exists primarily for the exchange of news, opinions, and similar information among readers. Those interested in researching specific aspects of Nevil Shute's life and work will find the site an excellent place to start. It serves as a means of contact with other Shutists, as well as providing much specific Shute related information. 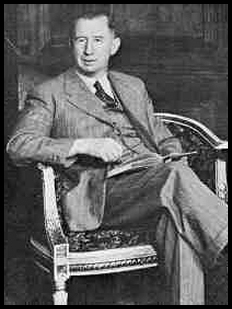 Writings, reviews, comments, biographies, pictures and other information regarding Nevil Shute and the Foundation may be found by clicking on the links at left. The search window can be used to access directly site references containing a given word or phrase.